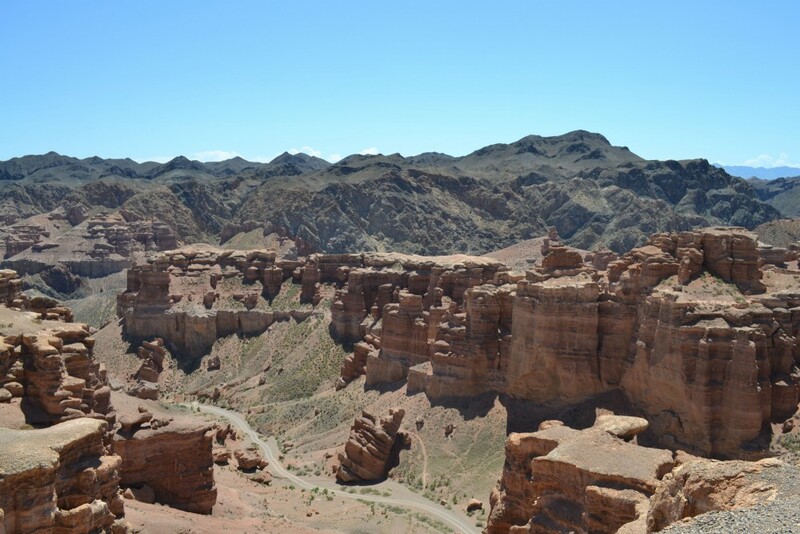 Sharyn (Charyn) Canyon is one of the most popular places close to Almaty. 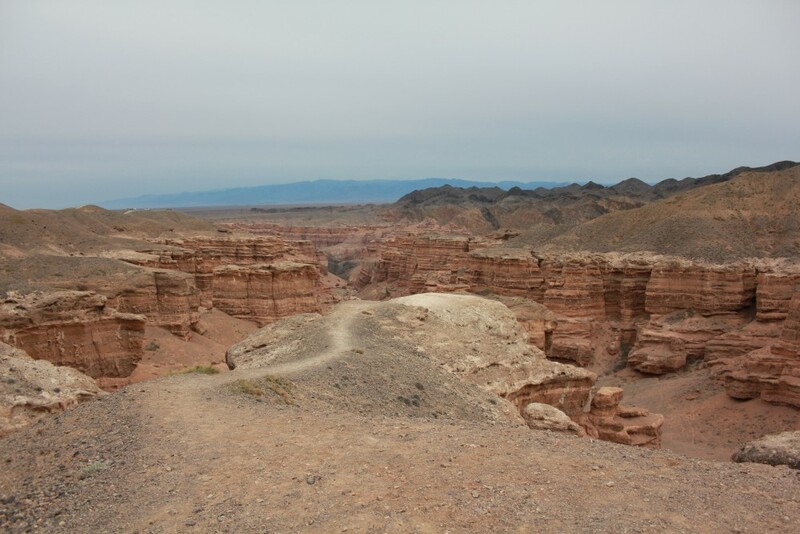 Approximately 200km east of Almaty, Sharyn Canyon cuts the landscape where the Sharyn River flows. 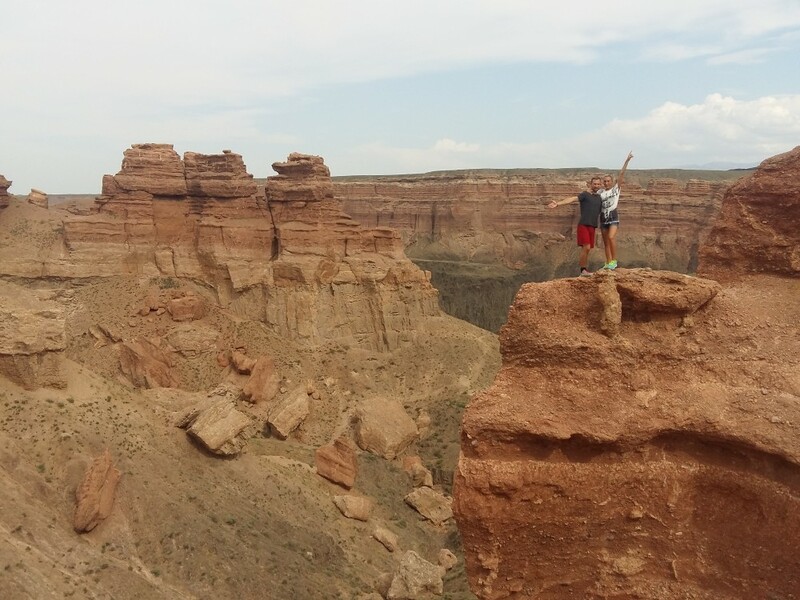 It has been called the Grand Canyon of Kazakhstan or the little brother of the Grand Canyon. While size wise it is smaller (80km long, 150-300m deep, 20-80m wide), it has a similar feel due to the rock structures and formations. 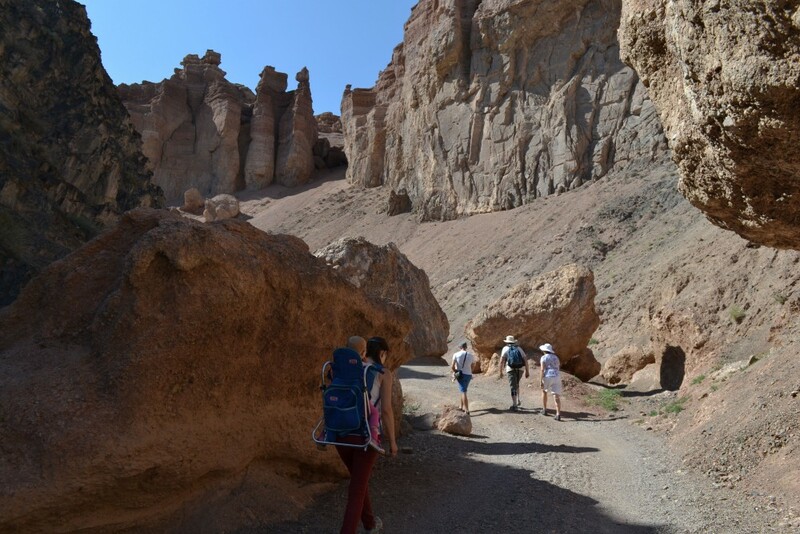 Tripadvisor ranks Sharyn Canyon as the number one attraction in Almaty Province. Sharyn Canyon offers impressive landscape and nature to see and explore. 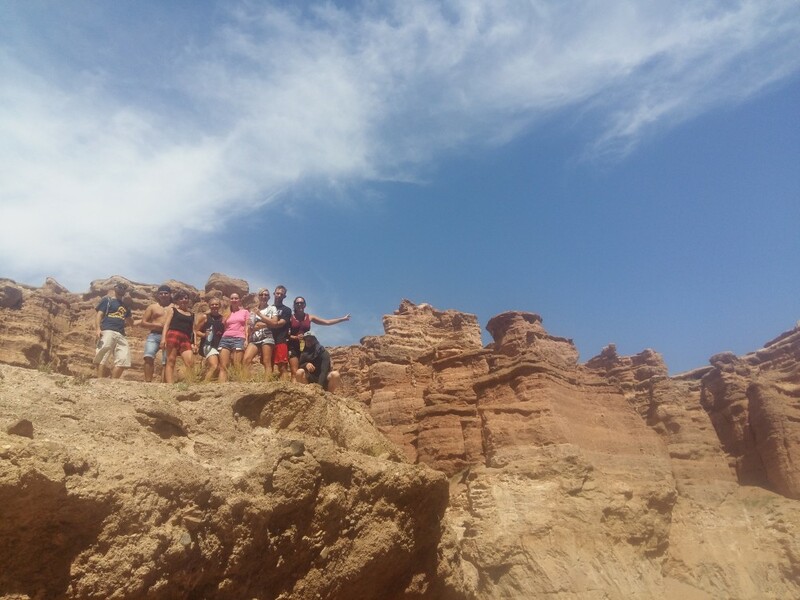 We offer a day trip, as well as combining it with a trip to other must see locations such as Kolsai Lakes, Altyn Emel NP or Turgen Valley. 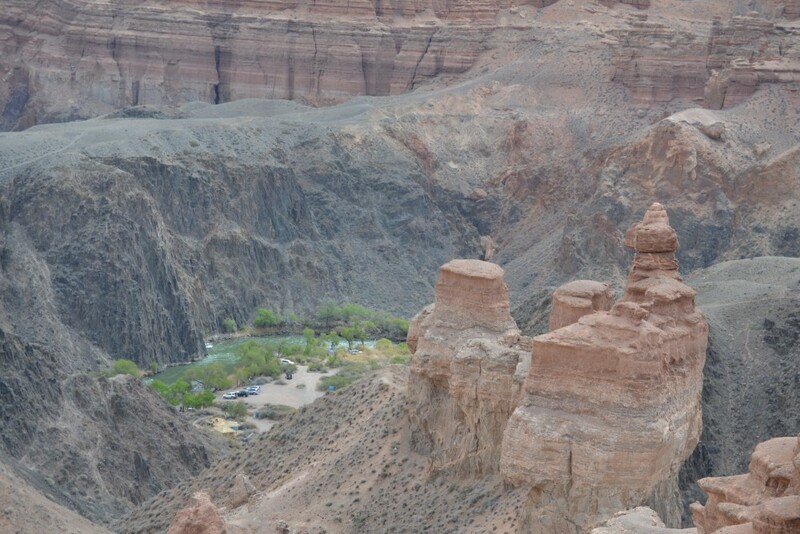 Walk around and explore the canyon from the top and from within having lunch beside the river.